It’s happening y’all. 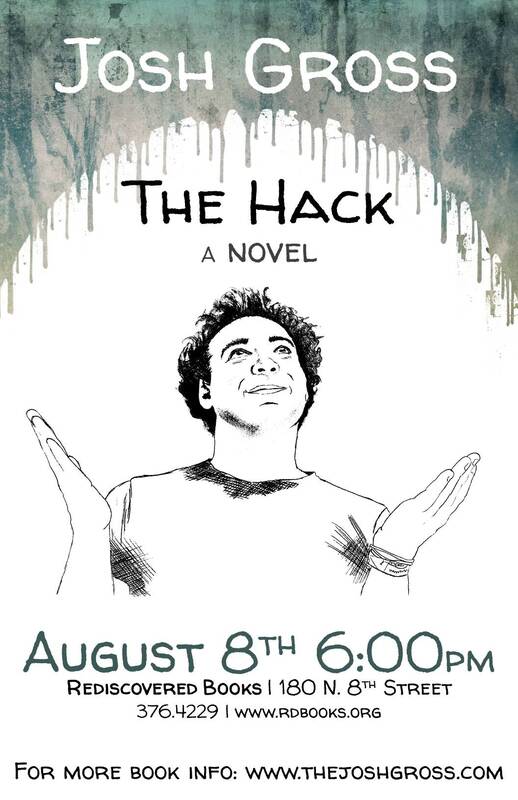 Thursday, Aug. 8 at Rediscovered Bookshop in downtown Boise, The Hack will be unleashed on an unsuspecting world. Never been to a book reading before? Great. Expect readings, ukulele shenanigans and disco-themed vegetarian sausages. In short, expect it to be as little like any other book release you’ve ever been to. After that, I’ll be leaving on the Words and Music Tour with Iconoplasty and Red Hands Black Feet to promote The Hack. We’ll be hitting Idaho Falls, Missoula, Moscow, Spokane, Seattle, Olympia, Portland, Hood River, Bend, Corvallis, Medford, Ashland, and the Bay Area. Make sure to let any friends you know in those cities in on the hot poop.